Having not posted in a while I knew that this one had to extra damn special. 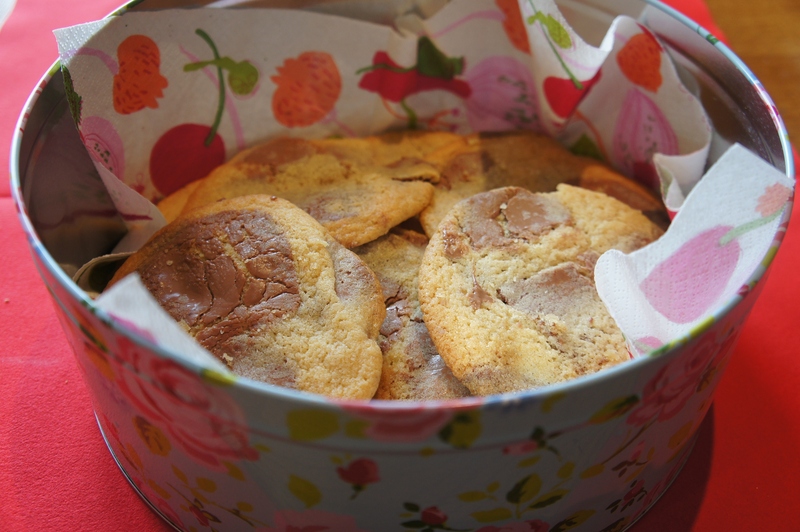 So what better than a chewy, soft baked cookie that isn’t lacking on the chocolate hit. 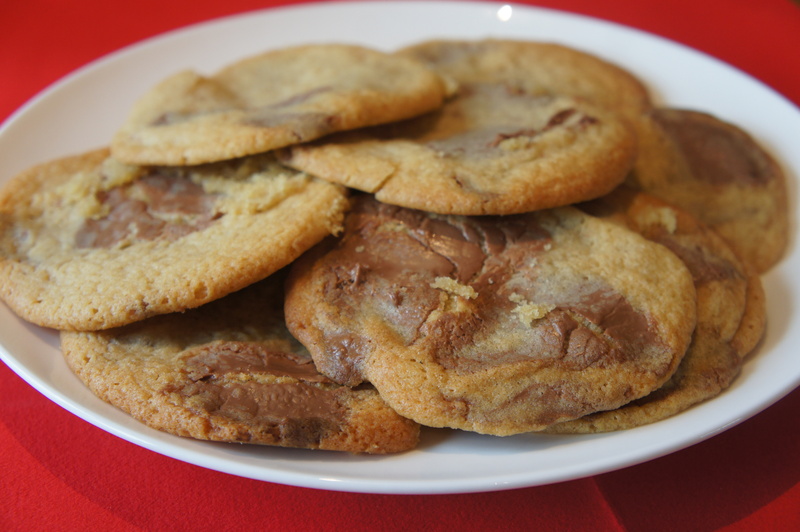 For years I have been trying to achieve the flavour and texture of the incredible ‘Millies Cookies’ and I think, nope I’m pretty certain, I must of just cracked it with this recipe!!! In a bowl cream the butter and two sugars together until light and fluffy. Add the vanilla extract and crack in the egg and mix. Add the flour and chocolate chunks and fold until the mixture is combined and has formed a dough. Cover the bowl with clingfilm and place in the fridge for at least an hour (you can leave it over night if you wish). Once your cookie dough has chilled, take approx. 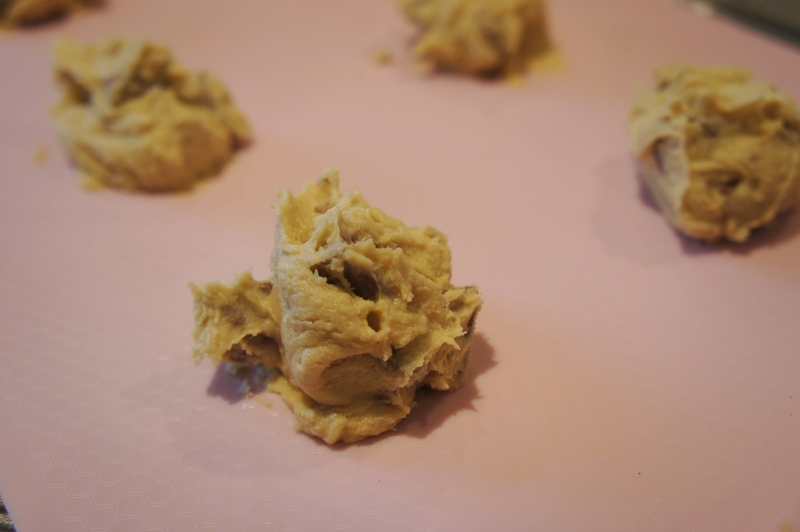 a tablespoon of the cookie dough, roll into a ball and place it onto the baking tray, do not flatten it out as it will expand in the oven. 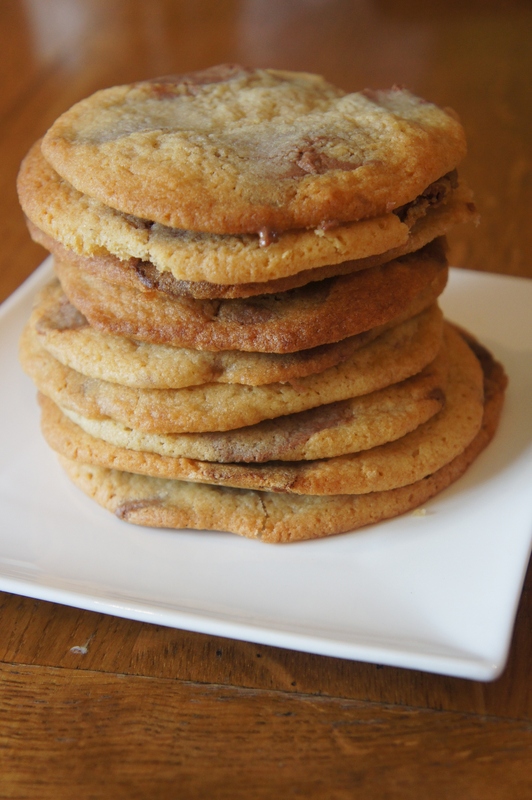 Repeat this for all 12 cookies leaving roughly 2 inches between each one. Bake in the oven for between 12-14 minutes until the edges are a pale brown but the middle still looks slightly uncooked. 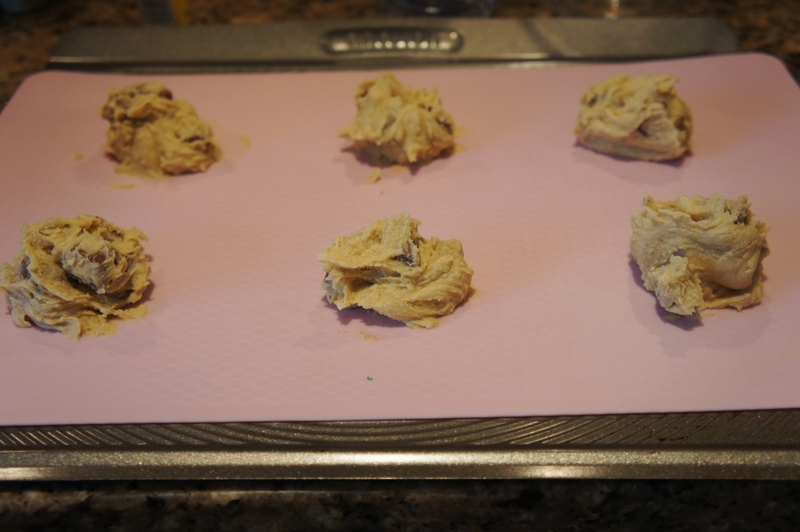 Remove from the oven and leave to completely cool (the cookies will continue to cook and harden a little as they cool).